If you are familiar with the Philippines and its people, you would know that the entire nation is seemingly obsessed with earning Guinness titles like the Largest Shoe, Longest Grill, Biggest Cake and the list goes on. But some records just come naturally, no over-the-top efforts needed. 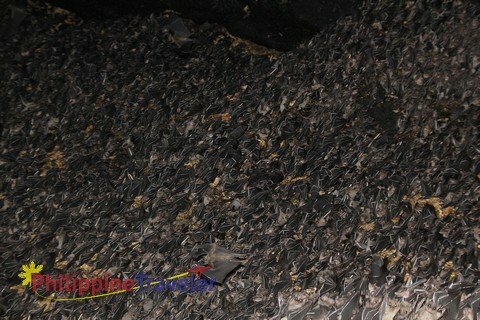 Samal Island’s Monfort Bat Cave is one example of such. With close to 2 million fruit bats living in one sanctuary, the Monfort Bat Cave boasts of holding the title for the World’s Largest Fruit Bat Colony. Through the relentless efforts of the Monfort family, these creatures’ habitat has been preserved. The cave, which has five openings, can now be viewed by the public. In recent years, it has become of the Samal’s most-visited attractions. Geoffroy’s Rousette is a specie of fruit bats found throughout the Southeast Asia. Just like most bats, they live in caves. These bats feed on fruits, in return pollinating them. They are considered one of the main pollinators of the plantations in Davao City, resulting to the abundance of fruits including the famous durian. 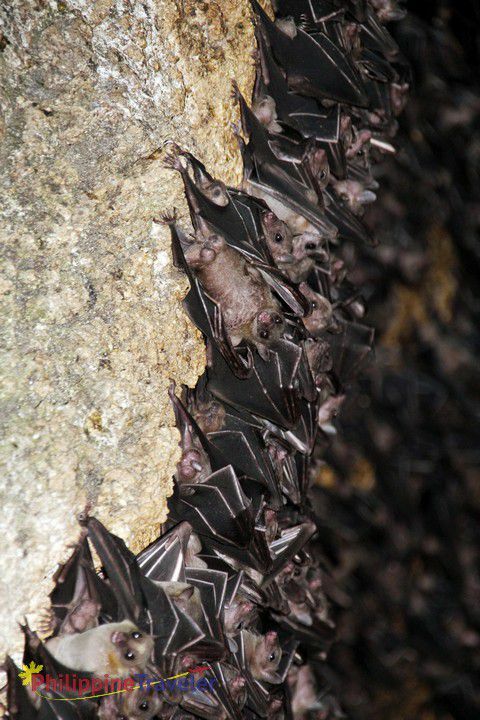 Over two million bats reside in the Monfort Bat Cave with a density of 645 bats in every square meter. At dusk, these bats form a thick black cloud of flapping wings as they make their way to the plantations in the highlands. This is a quite a spectacle for tourists who linger until the wee hours of the afternoon or stay overrnight. The sanctuary sits on 23 hectares of protected land owned by Norma Monfort and her family. The property has been developed into an eco-park with views of the sea, the neighboring islands and lush greenery. The Monfort Eco-Park also provides lectures, seminars and workshops on bat conservation, headed by Bat Conservation International which was co-founded by Mrs. Monfort. Entrance to the Monfort Bat Cave costs P100 (about $2.50) for adults plus P5 for environmental fee. There are open cottages for rent within the property and those who would like to camp out for the night have a designated area facing the Davao Gulf. If you’d like more conventional accommodations, there are some rooms that can be rented at P600 (about $15) per night. In 2010, representatives from the Guinness Book of World Records awarded the citation of Largest Colony of Geoffroy’s Rousette Fruit Bats in the World. The citation now stands proud at the entrance to the sanctuary. The number of bats inside the colony increases, bringing the promise of a better-balanced ecology not only in Samal Island but also in the entire Davao Region. 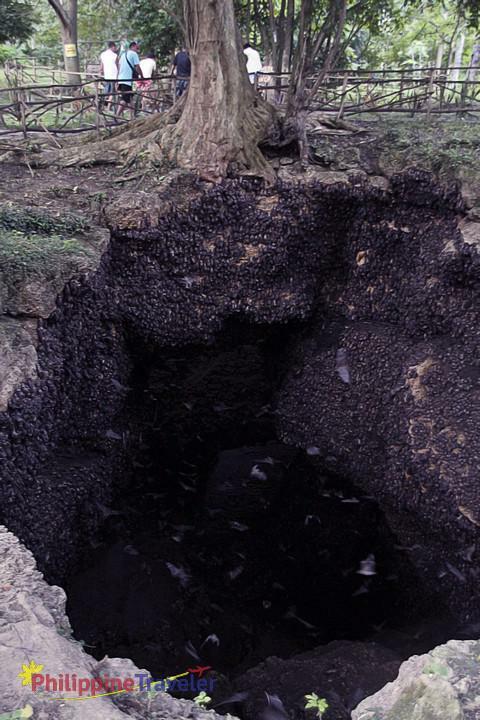 The Monfort Bat Cave is located in Barangay Tambo in the District of Babak. From Davao City, you may take the Island City Express bus which plies the route to Samal Island on a regular basis. A one-way ticket costs about P50 (a little more than a dollar); this amount already covers the ferry fee. Once you reach Babak, you may take a tricycle or a motorcycle to the sanctuary. You are encouraged to negotiate the tricycle or motorcycle fare with the driver; P100 is usually enough to cover three adults. Getting to the sanctuary is no problem. Most of the people in the island, especially the tricycle and motorcycle drivers, know the fastest and shortest route. You may also arrange for the same driver to pick you up after your tour to take you back to Babak pier. Although the Geoffroy’s Rousette Fruit Bats are far from danger of extinction, environmentalists feel that it is imperative to conserve these creatures and their natural habitat. The sanctuary was in fact opened to the public to create awareness and to encourage locals and even foreign visitors to help, in any way they can, in the endeavor to preserve the bats. Visitors are encouraged to become a volunteer who will help in planting trees in the area, observe the activities of the bats and participate in workshops and seminars. Another way to help is to adopt a bat which entitles you to free entrance to the sanctuary, a bat plaque made of wood, a bat adoption certificate and a tree planted in your name. Donations are also accepted by the sanctuary. 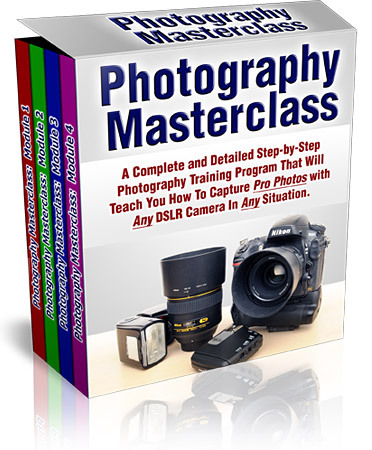 Donors will be given a photograph taken within the sanctuary and other freebies. 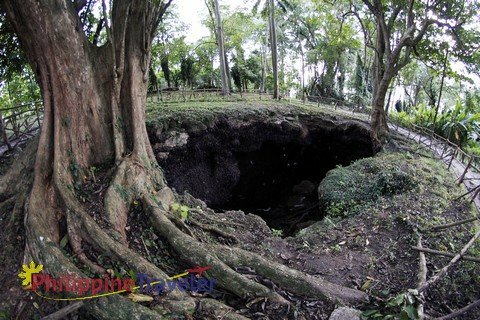 The Monfort Bat Cave of Samal Island is one of the standing proofs that the Philippines is a country blessed with natural wonders. Who would think that somewhere down south, in a garden island, hides millions of bats responsible for Davao’s unbelievable abundance of fruits! If you ever find yourself in Davao, a visit to the Monfort Bat Cave is a must.